What are some of your financial habits you stopped? 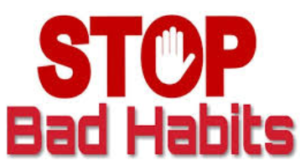 I am guilty of many of the common financial habits listed in this post. I have used the word “try” so many times in my 20s and even up until I started this personal finance blog back in May (2018). I was inspired by posts made by Cash Money Life, Money Crashers, and The Balance. Not holding yourself financially accountable – a very simple example that I am guilty of is not having a budget. I am not talking about tracking it down to the penny. That is annoying. I just mean knowing approximately how much you are bringing in every month and how much you are spending. If this is all in your head, then you are allowing yourself to cheat. I did this during my 20s up until just a couple months ago, when I started to take my finances more seriously. Relying on your wife, husband, significant other, parents, siblings – they are a crutch. I cannot speak to the wife/husband/significant other scenarios because I am in my mid 30’s, never been married, and happily single. I can only imagine how easy it might be to distance yourself from various financial activities. However, talking to many colleagues I am surprised how often both parties are not held equally responsible or at least making financial decisions together. Impulse or unplanned purchases – this goes back to knowing what you are spending. In this day and age, it is so easy to get caught up in purchasing something that was unplanned. We are all one click or tap away. There are always online sales happening. I am a digital marketer in my full time job and we always have some sort of “limited” time offer. One of the rules I thought was clever was shared by the guys at Listen Money Matters. Force yourself to a 30 day rule. Put the item you want to purchase on a 30 day list such as the laptop you have been thinking about and then wait 30 days. In the meantime you might start researching laptops, reading reviews, and talking to friends. Eventually you might realize you do not need the item. Buying with your credit card and you do not intend to pay the balance in full – one of the best ways to save money is to use your credit card, take advantage of the credit rewards, AND pay the balance in full. I have been in the financial services industry and in order to make money, we want you to be late on your credit card payments and we want you to carry that balance over every month for the interest. Paying for convenience – I am a firm believer in paying for convenience IF it makes sense. 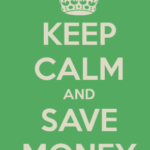 In order to justify by paying a premium for convenience, you should be using the time you are saving and making the most of it whether it be working on your personal finance blog, investing in yourself by enhancing an existing skill, or spending the extra time with your family. Lifestyle inflation aka keeping up with the Joneses – as you increase your monthly income, you might feel the urge to spend a little bit more on clothes or vacations. You might get invited to different circle of friends and then you see what car they are driving or what clothes they are wearing. This is such a bad habit to get into and I have been guilty of this. One of my goals when I was younger was to make 6 figures. Once I hit that in my 20s, I automatically signed up for lifestyle inflation. I am paying for that mistake to this day in my mid 30s. 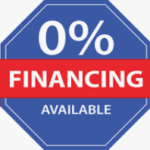 Taking special financing aka no interest if paid in full aka interest free loans and not reading the pay back period – having been in the financial services industry, this type of deal in which the lender gives you 0% APR for certain spend level requirements and paying back within a certain number of months is a way for the lender to make money. The lender hopes that you miss payments or not pay off the balance during the 0% APR period and you hold the balance past the pay back period. For example, the lender gives you 0% APR for a minimum $299 purchase but you must pay back within 12 months. If you pay off the amount within 12 months, then that is ideal. However, if you take 13 months to pay back, get ready to pay more than you intended because of the interest rate hike. I should have called this out separately as one of the biggest financial debt traps. You are not taking action – I was guilty of this as early as the beginning of this year (2018). 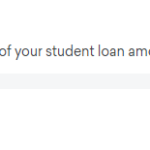 I was not paying down my massive student loan debt as fast as I should have been. I was over-researching on buying my first real estate investment property instead of taking action and talking with a real estate agent and looking at properties. I was not paying enough attention to paying myself first. I was not taking my side hustles seriously. You need to start now. It is never too late.